In a jolt to Facebook, WhatsApp co-founder and CEO, Jan Koum has decided to move on amid reports that he had a difference of opinion with parent company Facebook over data privacy, encryption and other issues. Koum announced his exit from WhatsApp immediately after The Washington Post on Monday reported his plans to depart "after clashing with its parent, Facebook, over the popular messaging service's strategy and Facebook's attempts to use its personal data and weaken its encryption". "I'm leaving at a time when people are using WhatsApp in more ways than I could have imagined. The team is stronger than ever and it'll continue to do amazing things," Koum said in a Facebook post on Tuesday. "I'm taking some time off to do things I enjoy outside of technology, such as collecting rare air-cooled Porsches, working on my cars and playing ultimate frisbee. And I'll still be cheering WhatsApp on - just from the outside. Thanks to everyone who has made this journey possible," he added. According to the report, Koum who sold WhatsApp to Facebook for more than $19 billion in 2014, "also plans to step down from Facebook's board of directors". "The independence and protection of its users' data is a core tenet of WhatsApp that Koum and his co-founder, Brian Acton, promised to preserve when they sold their tiny start-up to Facebook," the report added. 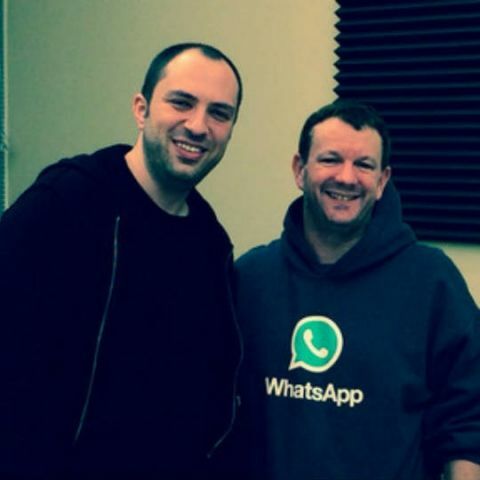 Koum further said in his post that "It's been almost a decade since Brian and I started WhatsApp, and it's been an amazing journey with some of the best people. "But it is time for me to move on. I've been blessed to work with such an incredibly small team and see how a crazy amount of focus can produce an app used by so many people all over the world," he added. Facebook CEO Mark Zuckerberg quickly replied via a post: "I will miss working so closely with you. I'm grateful for everything you've done to help connect the world, and for everything you've taught me, including about encryption and its ability to take power from centralised systems and put it back in people's hands". According to Tech Crunch, One possible candidate for the new WhatsApp CEO role would be its top business executive Neeraj Arora. Arora has been WhatsApp since 2011 -- well before the Facebook acquisition. With 1.5 billion monthly users, WhatsApp is the biggest mobile messaging service in the world. Over 3 million people are actively using WhatsApp Business app. After the Cambridge Analytica data scandal, Facebook has warned investors that more users' data scandals in the future may adversely affect the social networking giant's reputation and brand image. In its quarterly report shared with the US Securities and Exchange Commission (SEC), without mentioning Cambridge Analytica, Facebook said that its ongoing investments in safety, security and content review will identify additional instances of misuse of user data. "We may also be notified of such incidents or activity via the media or other third parties," Facebook said. Appearing before the US Congress, Facebook CEO Mark Zuckerberg told the lawmakers that his own personal data was part of 87 million users' that was "improperly shared" with the British political consultancy firm Cambridge Analytica.